I want to say that despite the overnight delay & the aggravating check-in process, I am *deeply* grateful to the dreamers, inventors and humankind in general for this non-minor miracle of flight. I am able to soar among the clouds across oceans! I am in the Heathrow mall… by which I mean the main waiting area in terminal 2. Waiting to find out from which gate my flight flies. Seems they want to keep you here in this shopping central until the last moment. If I had sterling pounds or a better credit card limit I suppose I could go shopping in Gucci, Harrods, Boss or “Become a Rockstar” Sunglasses Hut. Alas, I don’t. Instead I think I will fire up an episode of Star Trek: Voyageur that my buddy Maarte Ho so kindly gave me last time I was in Dordrecht. …here’s an interesting turn of events. My plane from Düsseldorf was delayed and as a result I missed my connecting flight to Toronto. The airline has put me up in a hotel for the night. Unexpected mini vay-kay. Hi London England! What’s happening? OMG! 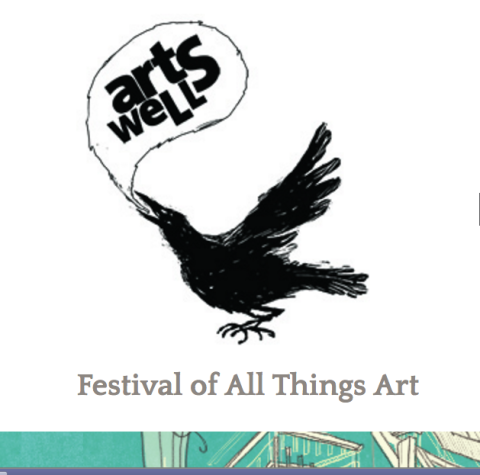 Seriously awesome line up at Artswells this year!